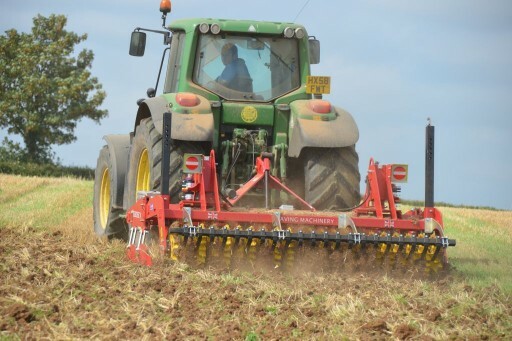 This one pass cultivator has two rows of low draft legs with cast steel knock on points, which break through the pan, lifting and aerating the soil without bringing subsoil to the surface with a working depth of 10-40 cm. The large scalloped discs have sealed for life bearings and are individually mounted with rubber torsion bar suspension, chopping, mixing and levelling trash and soil together. 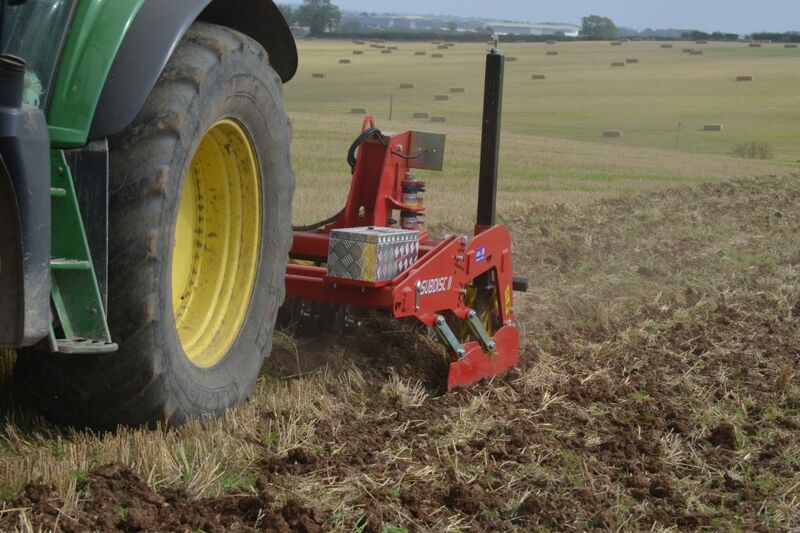 Finally, the packer roller firms the finished tilth perfectly and is able to work in very wet conditions. 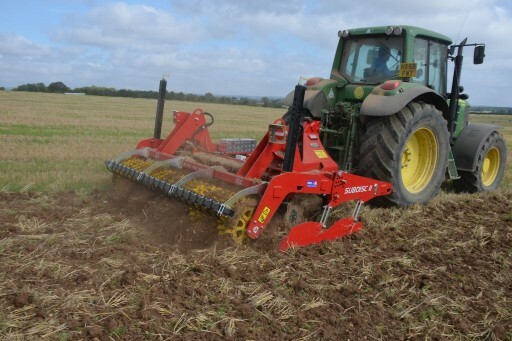 All adjustments are spannerless, the legs, discs & roller can all be adjusted in seconds. 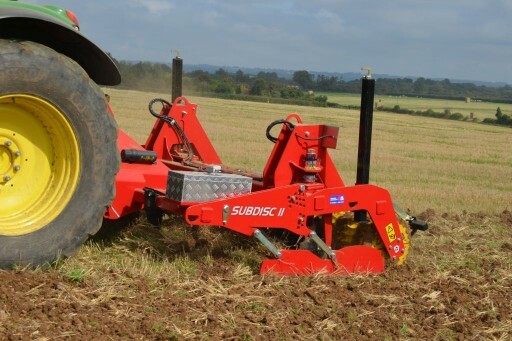 Side boards are mounted within the machines frame reducing the overall transport width and flare out when in work. 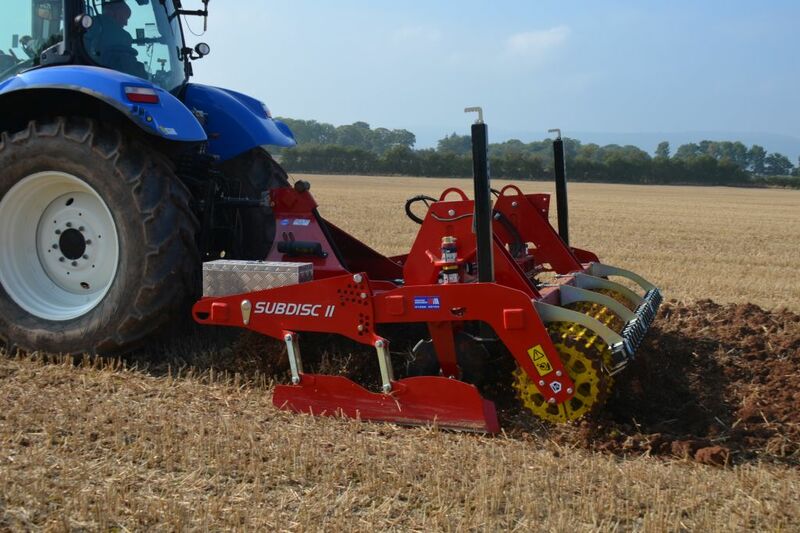 The Subdisc II comes complete with parking jacks, LED lights and an aluminium toolbox. Simple, proven, robust elements that lifts, chops, mixes and presses, with low HP requirement and running costs. The Subdisc II has 2 rows of legs with knock on points, a single row of large Ø scalloped discs and either a Guttler packer roller or a 700mm Ø DD packer. Side boards, LED lights and an aluminium toolbox are all fitted as standard.